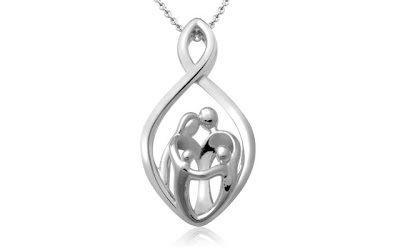 55% off the Sterling Silver Family Infinity Pendant Necklace - Just $34 Shipped! The Sterling Silver Family Infinity Parents with Two Children Pendant 18" Necklace is currently selling for just $34.00 on Amazon.com! You will be saving 55% off the listed price of $75.00 with this mother's jewelry deal.